Ramban single super phosphate is an ideal phosphorus supplying fertilizer, generally applied at the time of crop sowing/transplantation. Apart from phosphorus (16% water soluble P2O5), it also supplies Sulphur (12%), Calcium (21%), Magnesium (0.5%) and other important trace nutrients such as Zinc and Boron etc. for the balanced growth of crops. Ramban SSP gives pronounced results in Sulphur deficient soils and Sulphur loving crops like Oil Seeds and Pulses. 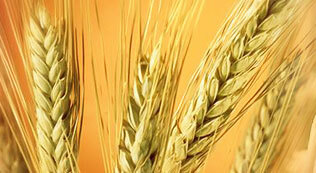 It increases oil content and Protein in seeds. Besides improving the quality of produce, significant yield improvements with the use of Ramban SSP have been reported. It is also a good soil conditioner and helps to reclaim the alkaline soil. 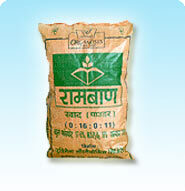 Ramban SSP is available in both Powder and Granular forms. Powdered SSP is useful in short duration crops such as Oil Seeds, Pulses and Vegetables. 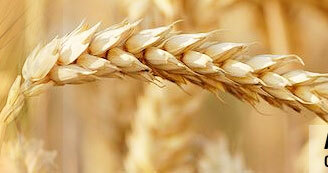 Granulated SSP is effective and useful in long duration crops like Sugarcane, Wheat & Paddy. Particle size  not less than 90 percent of the material shall pass through 4 mm IS sieve and shall be retained on 1 mm IS sieve. Not more than 5 percent shall pass through 1 mm sieve. The recommended dose of Ramban SSP is 150-200 Kg per acre.